Nissan Scholarship Programs include three scholarships open to minority students who are planning to attend a public college or university in the U.S. Eligible students must demonstrate financial need and also meet the requirements for each scholarship. The scholarships include HSF/Nissan Community College Transfer Scholarship Program for students of Hispanic origin, Nissan-UNCF "SHIFT_" knowledge Scholarship Program for African American students, and Nissan North America/Tribal College Transfer Program for American Indian students. Students must enroll full-time in a four-year college or university. Each scholarship has its own criteria for grade point average, amount of scholarship, and deadlines. Minimum scores on ACT or SAT may also be required. The number of scholarships awarded by Nissan North America varies each year. The dollar amount of the scholarship generally covers full tuition, fees and a book allowance. 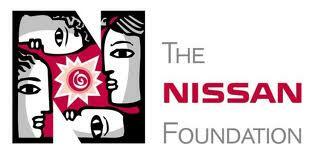 The Nissan Foundation, founded in 1992 in Los Angeles, funds the Nissan Scholarship. The Foundation has given over $6.4 million to over 100 nonprofit organizations in the U.S. during the past 20 years. Students interested in applying for any Nissan Scholarship may visit the Nissan website for more information.